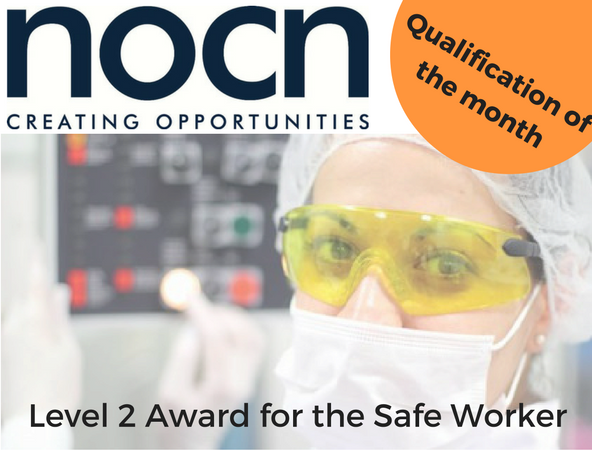 We have chosen the NOCN Level 2 Award for the Safe Worker as our ‘Qualification of the Month’ as a result of the positive feedback it is already receiving since its launch in September 2016. Here’s an overview…. The Safe Worker Qualification is suitable for people operating at ANY level, in ANY sector, who require an understanding of health and safety essentials. Click here for further details and full course content.